I’ve been wondering about wonder for much of my academic career, and particularly interested in its transformation from a spiritual concept to a secular one, from a manifestation of God’s will to an awe-inspiring curiosity or construction. I’ve already written about wondrous weather here, and of course witchcraft, most definitely a wonder of the early modern world, is something I can never abandon for long given my context. 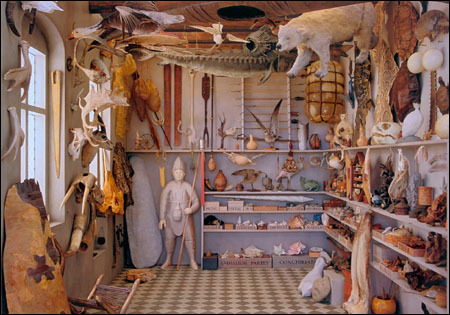 But perhaps the most direct way to approach wonder is through the wunderkammer, the “rooms of wonder” or “cabinets of curiosities” assembled in the sixteenth, seventeenth and eighteenth centuries by gentlemen of learning and leisure. 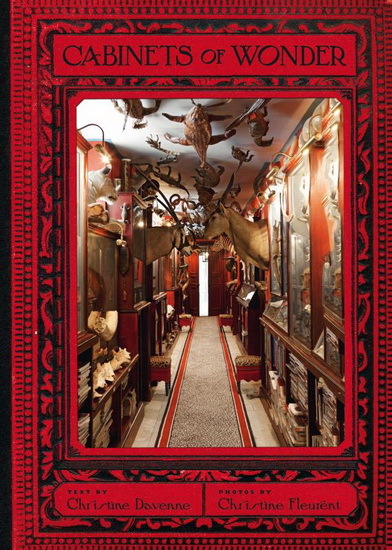 These private collections are the forerunners of public museums, and the focus of a current exhibition at the Grolier Club in New York City entitled “Rooms of Wonder: from Wunderkammer to Museum, 1599-1899″, which runs through the end of next week. This exhibition follows the Smithsonian’s “The Great American Hall of Wonders” exhibit from last year pretty closely, so it appears that wonder is having a moment. From cabinet of curiosity to museum: iconic images from two exhibitions. 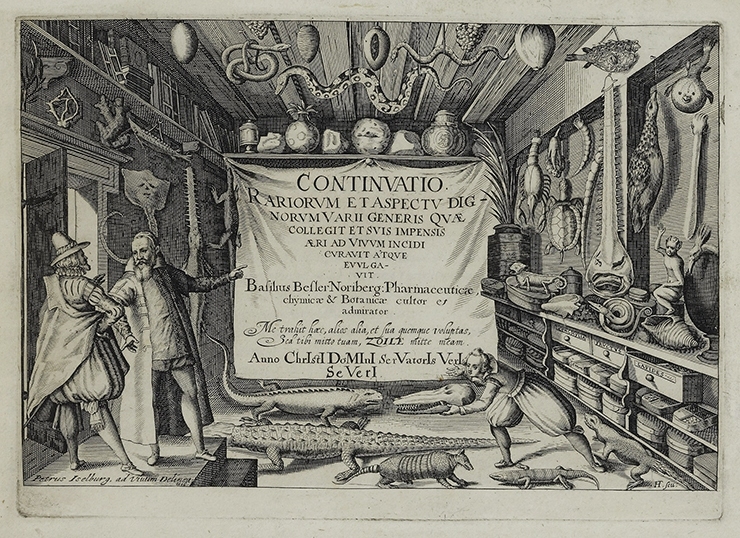 From 1599, an engraving of the wunderkammer of Neapolitan apothecary Ferrante Imperato in Dell‘Historia Naturale (Naples 1599), and from 1822, Charles Willson Peale’s The Artist in his Museum, The Pennsylvania Academy of Fine Arts, Philadelphia. Gift of Mrs. Sarah Harrison (The Joseph Harrison Jr. Collection), 1878. As you can see, wonder was first connected to the natural world and only later became associated with human creations, artistic and otherwise. 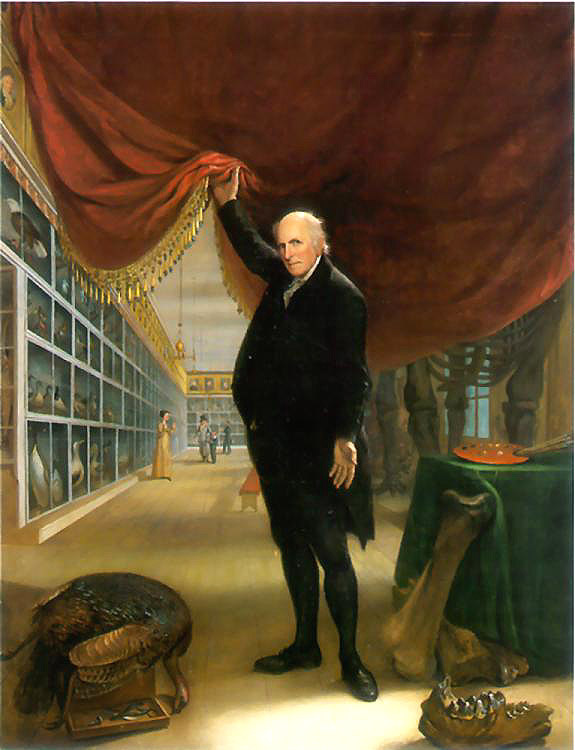 Imperato has an alligator on the ceiling of his room, and in his self-portrait, Peale is revealing his own natural history collection, which became America’s first public museum. 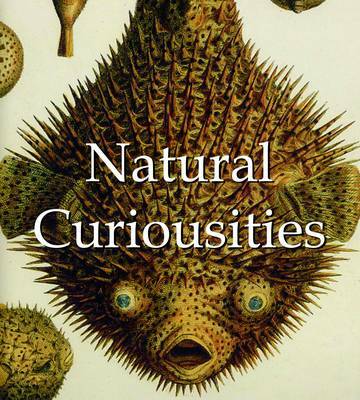 Before the eighteenth century, cabinets of curiosity were encyclopedic in nature, with the goals of “capturing” nature and creating a worldly microcosm in one or more rooms. Specialization was not a goal, and so they appear to us rather random, a somewhat controlled chaos, or maybe it’s just the prominent and interesting displays of mummified alligators (or crocodiles? ), which seem to be the must-have object in any cabinet of curiosity. 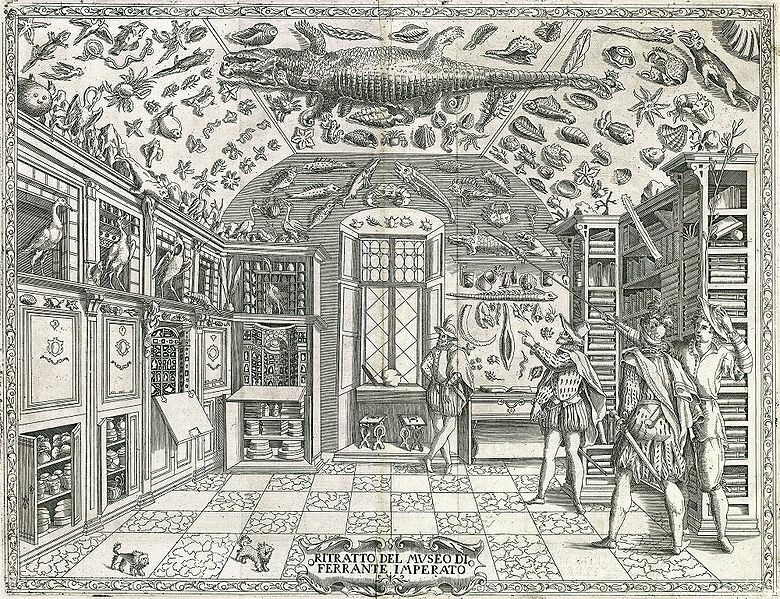 In any case, many of the early modern images of wunderkammer show people really marveling at the wonders on display. People are part of the picture. Engraved title page of Basilius Besler’s Continuatio rariorum et aspectu dignorum varii generis (Nuremberg 1622). Now this is a collection that almost defies description, and one which would surely challenge any system of categorization or classification! 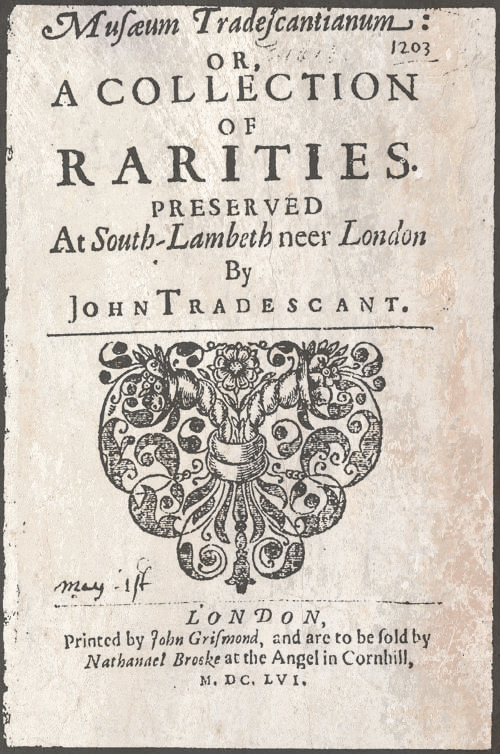 The elder John Tradescent has risen to wealth and prominence as a gardener to the landed gentry, and so his early collecting interests were primarily botanical, but both his travels and that of his son gradually expanded their interests and their collection, which was cataloged in 1656 under the title Musaeum Tradescantianum and later (1683) became the basis of Britain’s first public museum, the Ashmolean Museum at Oxford University. In the eighteenth and early nineteenth centuries, several forces combined to push serious collecting more toward the public sphere: the development of taxonomic systems, the Enlightenment drive to educate and elucidate, urbanization, and the burgeoning “commercialization of leisure”. Certainly some quirky private collections continued to be assembled, but the trend was definitely towards the institutional. Here in America, natural history museums popped up all along the east coast, from the Charleston Museum to Peale’s Museum to the Peabody Academy of Science established here in Salem in 1869: the forerunner of the Peabody Museum and today’s Peabody Essex Museum. Illustration of the Peabody Academy of Science in Salem from Frank Leslie’s Illustrated Newspaper, Sept. 4, 1869 / James M. Lindgren. “That Every Mariner May Possess the History of the World”: A Cabinet for the East India Marine Society of Salem. The New England Quarterly, Vol. 68, No. 2 (Jun., 1995); Detroit Publishing Co. photography, 1910, Library of Congress. I do wonder if the institutionalization of wonder (and pretty much everything else about our modern world) has lessened our capacity to marvel, or maybe it has increased it. I’m just not sure. 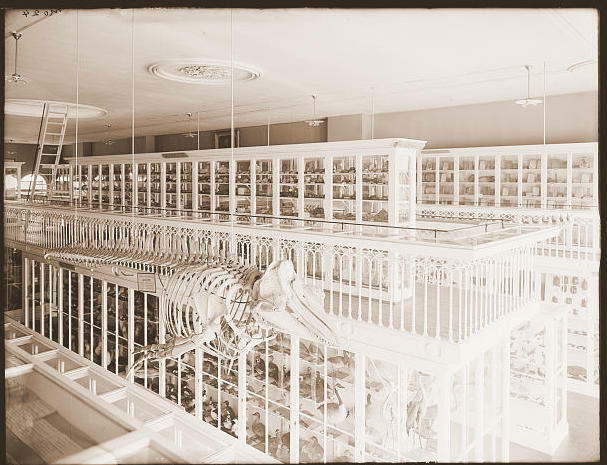 Fortunately, however, the more whimsical wonder of early modern cabinets of curiosities has survived over the last century in the work of artists like Joseph Cornell and Massachusetts’ own Rosamond Purcell, who quite literally recreated the collection of a seventeenth-century Danish medical professor Ole Worm for the Santa Monica Museum of Art and Harvard University’s Science Center. Indeed, an influential art gallery in Italy includes the instillation of wonder in its mission statement: Wunderkammern adopts the inspiring principle of those homonymous collections of scientific curiosities and extraordinary objects that used to be gathered together in Renaissance Europe by rulers and aristocrats, merchants and early practitioners of science. Like those historical cabinets of wonders, precursors to museums, WK explores how such “amazement” is manifested within today‘s artistic discourse. 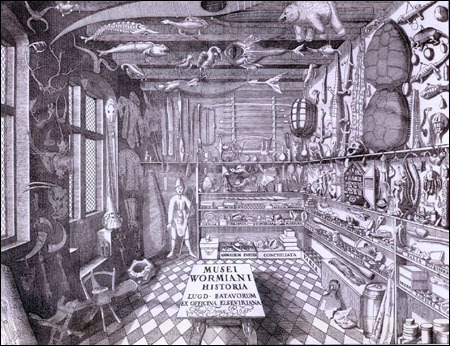 An illustration of the Museum Wormianum of Ole Worm (Leiden, 1655), and Rosamond Purcell’s installation. Photo by Dennis W. Purcell. Appendix: Bring wonder home with these three great books; they are bibliographic cabinets of curiosities! 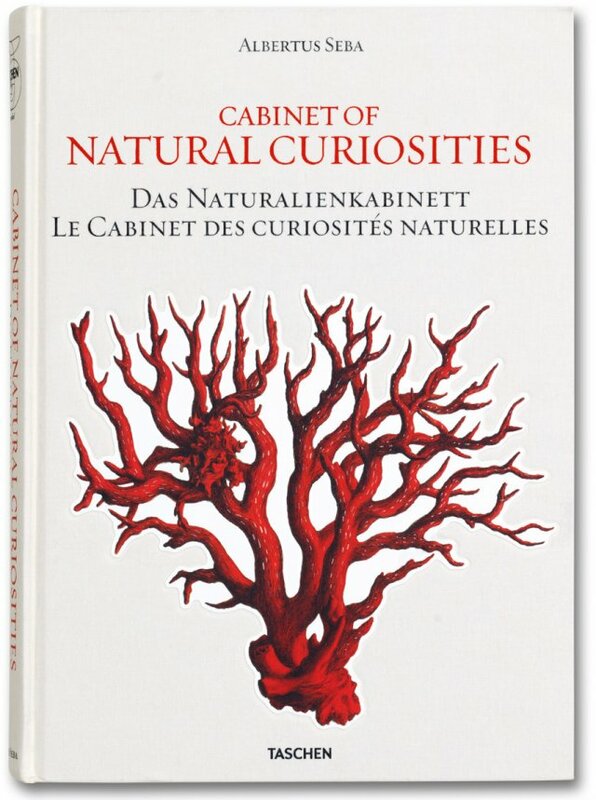 Albertus Seba’s Cabinet of Natural Curiosities (which seems to have been mined intensively by interior designers over the past decade) (Taschen, 2001); Cabinets of Wonder by Christine Davenne (Abrams, 2012); Alfred Russell Wallace’s Natural Curiosities (Parkstone Press, 2011). This entry was posted on Saturday, January 26th, 2013 at 9:14 am	and tagged with Art, books, Exhibitions, Flora and Fauna, Interior design, Renaissance and posted in Culture, History, Salem. You can follow any responses to this entry through the RSS 2.0 feed. This is much discussed in the museum field. I think one thing we’re recognizing is that the nineteenth century left us a tough legacy. 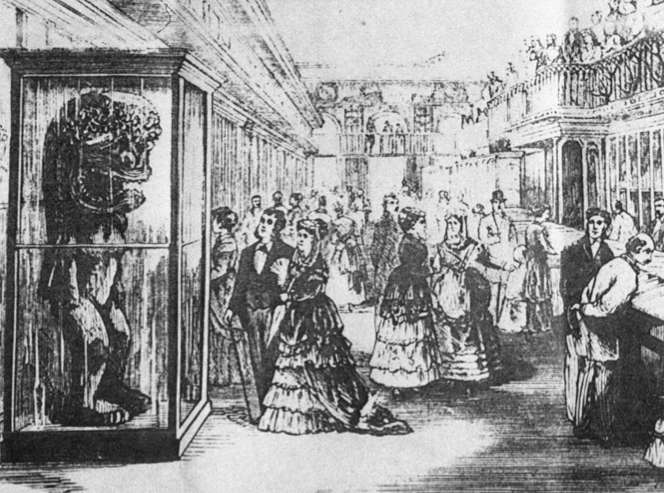 In changing museums from the hypnotically chaotic “cabinet of curiosities” to the systematic display of pre-processed art and artifact, the institutions that followed these sucked most of the wonder right out of the objects. THe implication was “We’ve figured the world out for you, and here it is, labelled and in proper order.” Today we’re interested in strategies that will help people rediscover the sense of wonder, and do more wondering themselves. Michelle, thanks so much for your comment. I appreciate all of your always-insightful comments, but I did particularly want to hear from a museum professional today. Of course we have the same problem in higher ed–I am constantly struggling to instill a sense of curiosity and wonder about the past among my students. It’s a tough challenge, but an important one. Thanks. WONDERful material throughout. Sometimes it’s really hard for me to pin down what can set me off into awe. If you ever travel West to Hancock village, just over the Berkshire, and visit the Shaker Museum Round Stone Barn, you’ll see something that has been intruding into my dreams for more than thirty years now. Thank you, Richard. I think it’s subjective, and I, too, love that round barn. It is wonderful. I love the picture with the crocodile on the ceiling! I mean who doesn’t want a stuffed crocodile on their ceiling? Haha! Great article! Let’s not forget those medieval chroniclers and travelers, who supplied documentary wonders, whether realistic (Polo) or fanciful (Mandeville). Ran into a noble’s cabinet of curiosities that had been preserved in either Riga or Tallinn (don’t quite remember which) while passing through those cities in 2003. Oh, I’m jealous: I’ve never been to Tallinn but have heard great things. I didn’t read the post but I loved the pictures! Wonderful post! I’m a recent discoverer of this fine blog~ A retired museum professional, I taught a course last fall on American museums (all kinds) at Osher Lifelong Learning Institute in Asheville, NC. We devoted a big section of class one to “cabinets of curiosity” and looked at some of the above images. . . great stuff! One thing I discovered in reading and looking (Worm’s museum, for instance) is that some of these were not all that “chaotic”. They sought order and classification–that was part of what it was all about. . . .not that it looks so to us! Many of the collectors were physicians and ‘doctors of philosophy’. Thanks for great work here! Thank you for your thoughtful comments, Melinda. I really did want to hear from museum professionals such as yourself on this post.